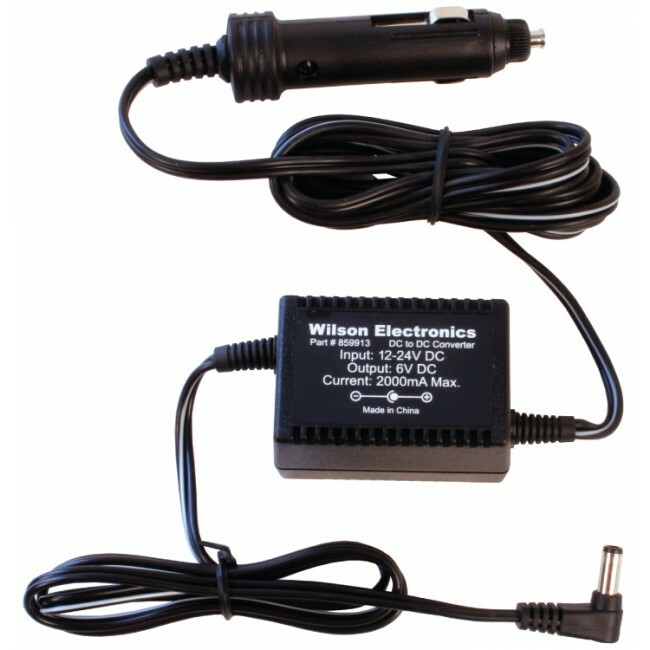 Wilson's 6V DC Vehicle Power Adapter (859913) coverts 12V DC to 6V DC for use with Wilson 6V amplifiers. 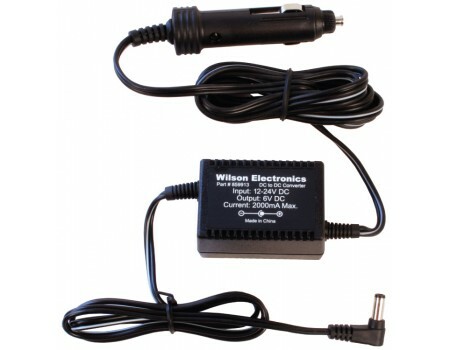 Wilson's 6V DC Vehicle Power Adapter (859913) can be used by any Wilson 6V amplifier when used in a car, boat, RV, or other vehicle. The power supply plugs in to any standard standard cigarette lighter or accessory port and coverts 12V DC to 6V DC. Check on the power requirements of your amplifier to ensure that it uses 6V before purchasing.